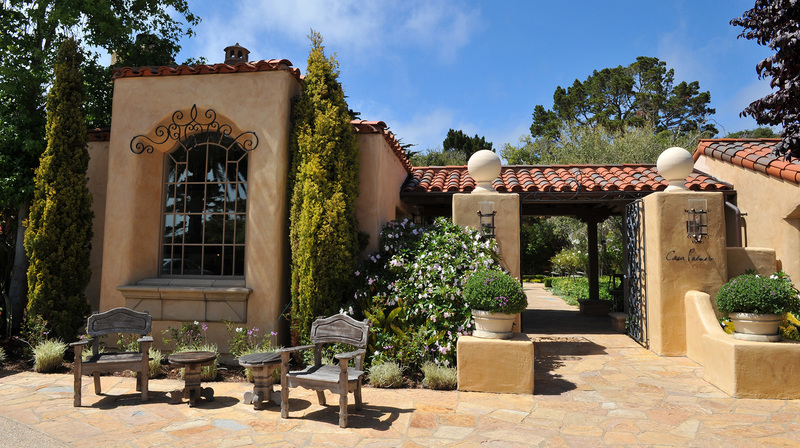 Casa Palmero at Pebble Beach is perfectly named; it was once a private home — when you stay here, you’ll feel like you’re ensconced in your very own Mediterranean villa. 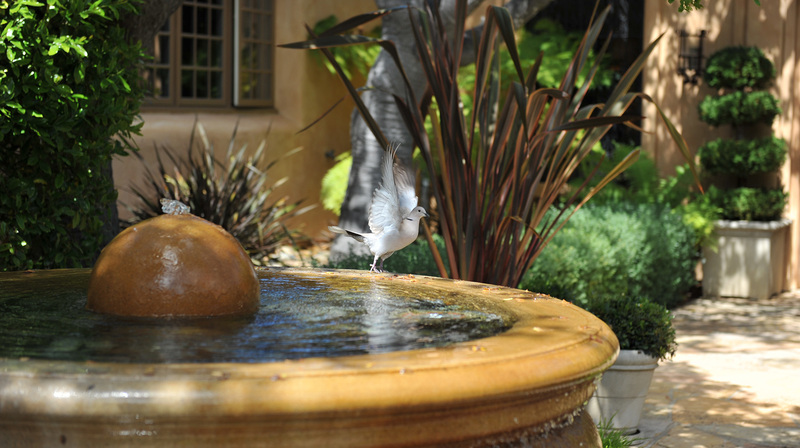 Guests first checked into Casa Palmero in 1999, but the Spanish Colonial-style home, with its lush landscaping, classical fountains and expansive courtyard, dates back to 1927. While it’s been modernized and expanded, Casa Palmero retains an intimate and welcoming feel. Case in point: A special services manager contacts you before you arrive to assist with making reservations for restaurants or activities, such as golf or tennis. Personal valets act as hosts at Casa Palmero as well, greeting you by name, attending to vehicles and bags, and even mixing drinks during the complimentary cocktail hour each evening. 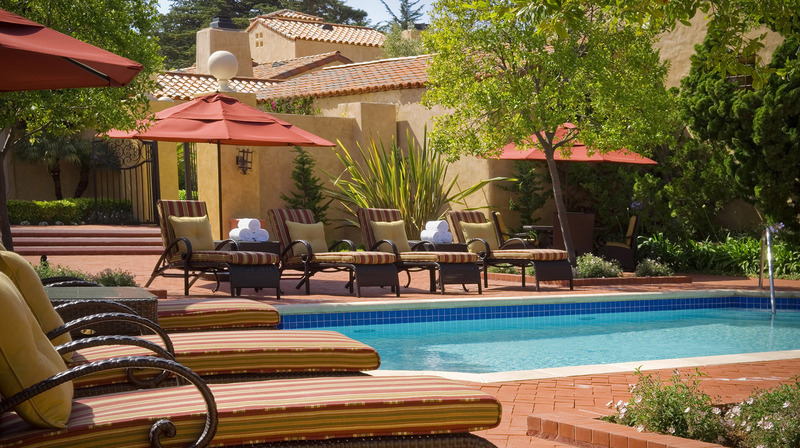 • Casa Palmero is one of three luxurious accommodations that make up the iconic Pebble Beach Resorts. Nestled along the Pacific Ocean, Pebble Beach is the destination for golfers and those who enjoy being pampered. • Take some time for a short road trip through the Del Monte Forest. The 17-Mile Drive is one of the most scenic roads in the world, with mature oaks draped in Spanish moss, verdant golf courses and breathtaking views of the Pacific coastline. • An in-room check in includes a tour of the property, highlighting the main house where complimentary cocktails and hors d'oeuvres are served nightly. • Casa Palmero’s public areas are warm and inviting, from the living room with its grand piano and upholstered wing chairs, to the library filled with volumes related to local history or by local authors. 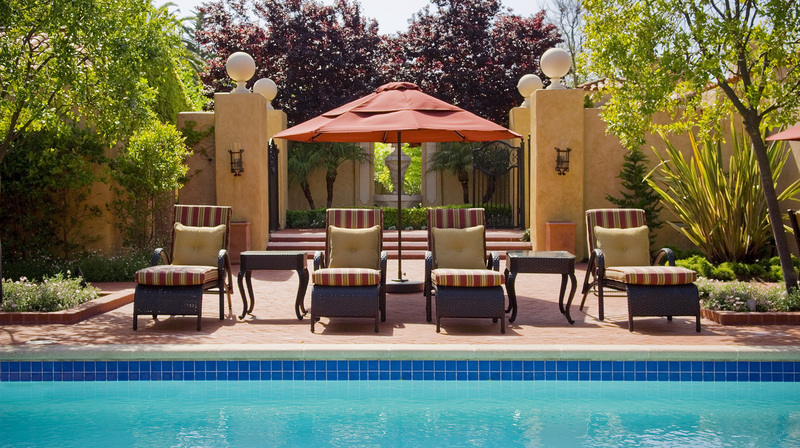 • The central courtyard shaded by a majestic oak that’s more than 100 years old offers a lovely view of the azure pool and a quiet place to read. 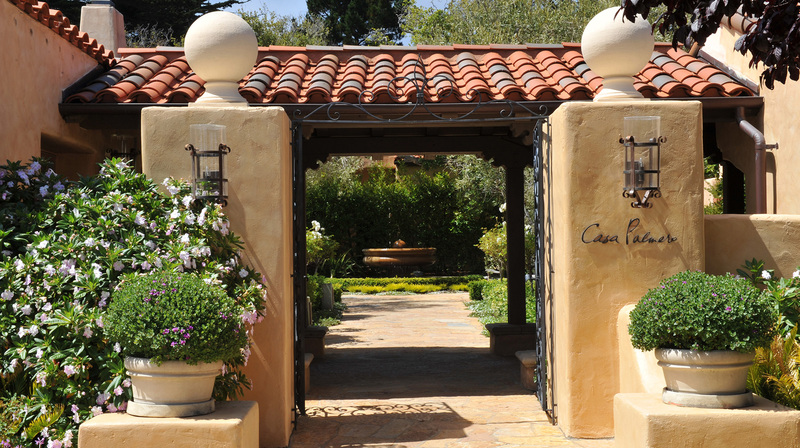 • One of the main advantages of staying at Casa Palmero is its prime location next to the Spa at Pebble Beach. It’s so close you can slip into your robe and stroll over at your leisure. • If you get hungry while lounging by the pool, stop by the juice bar for kale smoothies, low-cal versions of piña coladas and margaritas, sandwiches and salads. • In the evening, the personal valets serve complimentary cocktails and hors d’oeuvres. • Each of the 24 luxurious rooms at Casa Palmero has a unique layout, but whether you’re in an Estate Room or the Palermo Suite, you’ll find a wood-burning fireplace, plush seating area and expanded bath suite. • Mediterranean décor in tones of honey, taupe and carnelian, and rich textures of distressed leather and wood give rooms a soothing and timeless feel. • Upstairs rooms feature window seats; downstairs rooms have private patios with lounge chairs or a Jacuzzi. • Rooms also have desks and LCD flat-screen TVs. The bar is stocked with coffee and tea, complimentary soft drinks and snacks, as well as spirits and wine for purchase. • Your favorite part of the room just may be the expansive bath with marble double vanities, and a shower stocked with private-label bath amenities by June Jacobs.